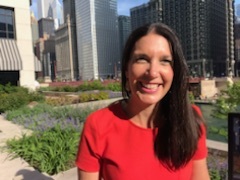 Andrea graduated from the University of Iowa in 2004 and worked in sales at CareerBuilder for three years until she approached The Larko Group for help with her search. Andrea’s gift for organization and efficiency was immediately recognized, and in 2007, she was offered the opportunity to support the President, Russ Larko. Andrea also manages office operations and regularly liaises with TLG’s diverse clientele on a daily basis. In her spare time, she loves being with her husband and three little girls, going to Bears and Blackhawks games, traveling around Europe, or just enjoying a great day on the beach. When she gets a night away, she loves checking out the hottest new bars, rooftops, and restaurants downtown. THE LARKO GROUP SPECIALIZES IN STAFFING FOR OFFICE ADMINISTRATION AND EXECUTIVE SUPPORT FOR MANY OF CHICAGOLAND’S FINEST AND MOST REPUTABLE EMPLOYERS. TLG STAFFS DIRECT HIRE, TEMPORARY, & TEMP-TO-HIRE POSITIONS. WE ARE KNOWN FOR OUR TIMELY AND ACCURATE PLACEMENT, UNPARALLELED CUSTOMER SERVICE, AND OUTSTANDING CANDIDATES! SO WHETHER YOU’RE LOOKING TO HIRE YOUR NEXT STAR EMPLOYEE OR STEP INTO THE RIGHT JOB, LET THE LARKO GROUP WORK FOR YOU. CHICAGO’S STAFFING INDUSTRY LEADER SINCE 1993!